So I’ve been really really excited to finally write up this post. But heading back to school has sort of swallowed up a lot of my time, so it’s taken me a little longer than I would have liked, but here goes. I’m sure you’ve heard a lot about BB Creams, the popular beauty fad has hit drugstores and beauty shops all over the states and has managed to only increase in popularity. There’s a lot of talk out there about the origin of the BB Cream (or “Blemish Balm” sometimes referred to as “Beauty Balm”), and while I’m not going to pretend to be a beauty/fashion historian I think the most valid story out there is that the BB Cream originated as a skincare/makeup product with the intent to help improve skin texture and help it recover from scarring caused by surgery. When it entered the Asian market, many BB creams were designed to have high SPF coverage, aid with blemishes, moisturize, and more- basically it was a hero product, but designed with Asian skin tones and type in mind. Since then the BB Cream has taken the Western beauty market by storm. Every brand and its mother has come out with some form of BB Cream. Personally, I was skeptical about the BB Cream. No two products seemed to claim the same benefits. So what was a “good” BB Cream and what was a “bad” one? And were they really all just a load of overpriced tinted moisturizer? I was about to chalk up the whole BB Cream fad to the placebo effect, when I decided that I would try them all for myself and let you know exactly what I thought of them- thoughts from a BB Cream skeptic. I tested all the creams on myself and on my model, and all my reviews are based off of product claims vs. personal opinion, quality of application, coverage, and overall experience. This is our original image (above). My model has light skin, with redness around her cheek, nose, and forehead area. She has dry skin, but moisturizes regularly. 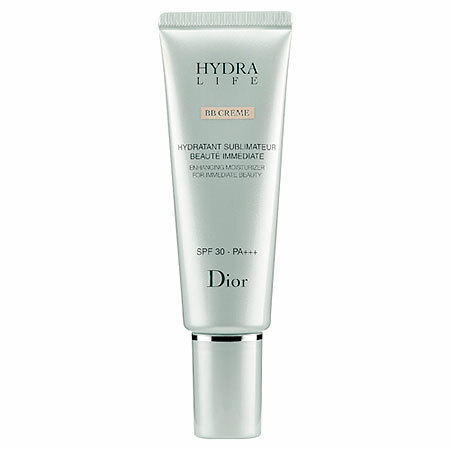 The BB Cream used in this image is the Dior Hydra Life BB Crème SPF 30 – PA +++, which runs at $56.00 (USD) at Sephora for a 1.07oz bottle. This comes in only one tone, and blended well into the skin. My model has really light skin, while I have sort of a golden skin tone. It has a light floral scent, and sat really beautifully on the skin- it was very smooth, has an SPF of 30, and provides light coverage. It didn’t feel thick like foundation or makeup. My model and I both loved this BB Cream, but took issue with the fact that it’s quite expensive. 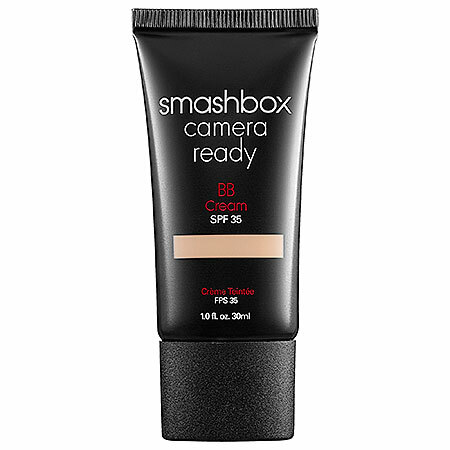 The second BB Cream that we tried was the Smashbox Camera Ready BB Cream with an SPF of 35, which runs for $39.00 (USD) at Sephora for a 1 oz. tube. These are one of those rare BB Creams that come in a variety of tones, which is really great for ladies with darker skin tones. Unfortunately, this was our least favorite BB Cream. It smelled like sunblock, and was the thickest of all the creams. It felt like more of a thick foundation than a cream, and didn’t blend well into the skin. 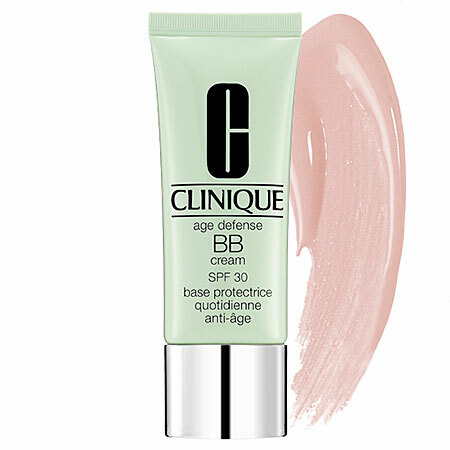 This is the Clinique Age Defense BB Cream with an SPF of 30, which runs for $37.00 USD for a 1.4oz tube (also on Sephora). This also provides a range (albeit a limited one) of tones. This one was our favorite. Ironically enough, this cream advertises with the least amount of “magical” claims- only advertising as everything a girl needs for a quick start. With medium/light coverage, a comfortable cream-like texture, it felt and looked quite nice on the skin- but without feeling like foundation. 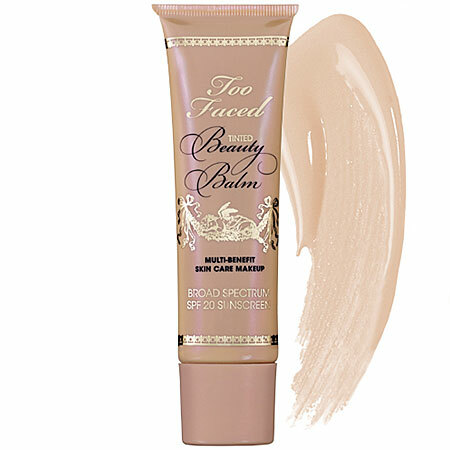 The fourth BB Cream we tried was the Too Faced Tinted Beauty Balm with an SPF of 20, which runs for $32.00 USD for a 1.5oz tube at Sephora. This also comes with the option of four different tones. This BB Cream boasts a list of offerings including anti-aging benefits, increased elasticity, etc. However, I felt that this cream was closer to a foundation than a BB Cream. First of all, it provided some serious coverage- I would say it was even comparable to my Benefit Oxygen WOW foundation. It smelled a lot like my sister’s (who’s an artist) paints, and looked like it had a little shimmer or bronzer added to the mixture. If your medium-dark skinned, and looking for good coverage- then go for it! The fifth BB Cream we tried was the Dr.Jart’s Black Label Detox BB Beauty Balm. Now, Dr. Jart is one of the most popular BB Cream brands out there. However, they only cater to a limited range of skin tones – all of which are really light (they only have one tone). For that, me and the Sephora rep. I spoke to give Dr. Jart a sad face 🙁 On the other hand, my model and I really really love this BB Cream! The coverage is excellent, without being overpowering. It didn’t feel heavy, even though it has a thick consistency, and felt very light and natural. Also, my skin felt super soft after application. 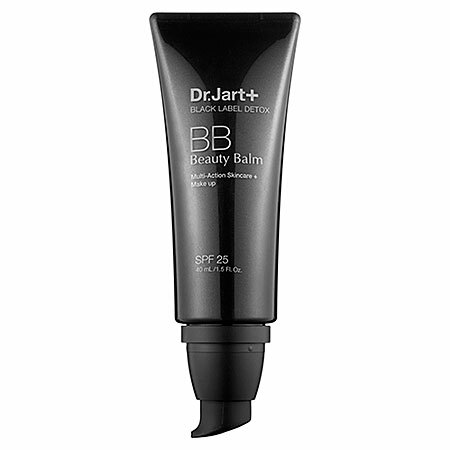 Dr. Jart has two other BB Beauty Balms available at Sephora- this one retails for $36.00 USD for a 1.5 oz tube. 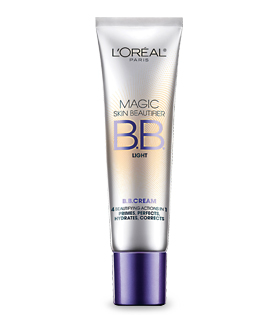 The final BB Cream that I tried- and the only drugstore option in this showdown- is the L’Oreal Paris Magic Skin Beautifier B.B. Cream. This is probably my most favorite beauty product right now. Unlike any of the other BB Creams that I’ve tried – this cream is white and has these tiny foundation beads that create an even amount of coverage when you rub it into your skin. I don’t know why, maybe it’s because this cream has a white cream base, but it really makes your skin look like it’s glowing. It doesn’t have outstanding coverage- however; you can tell and feel the difference in your skin after you’ve put it on. It would make an excellent primer. This runs for about $10.00 USD at Target and other mass retailers. Conclusion: I really love the Clinique BB Cream and the L’Oreal one. 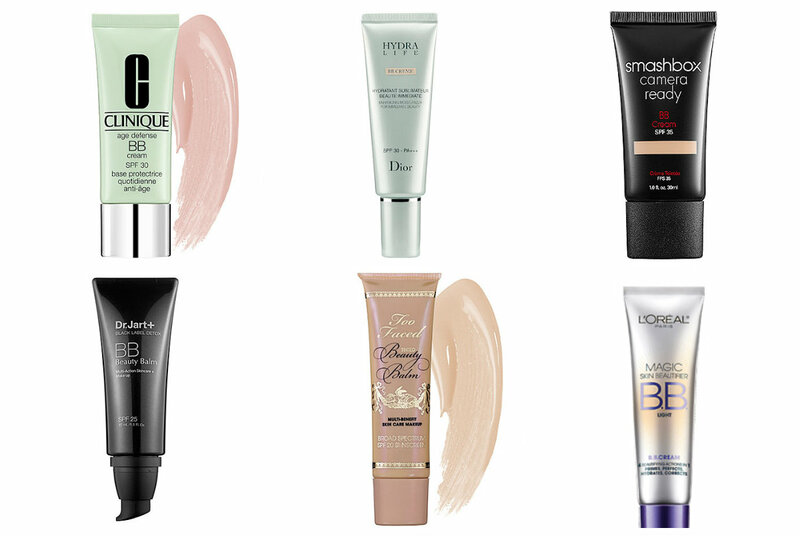 For me, BB Cream should be a simple beauty product with the added benefit of skincare properties. I do not want to feel like I’m applying/wearing a heavy foundation – otherwise it should be advertised as BB Foundation. So you tell me- what do you think about BB Creams? Have you tried any yet? Let me know if you have any questions or comments, or if you want to see a drugstore BB Cream Breakdown too! Previous Post Naturals VoxBox 2012! Or is it really just a dry skin product? Yes! I have pretty oily skin (esp. on my forehead) and the BB Creams work great! The L’Oreal one gave my skin a great matte look too! Thanks for reading! i use the Dior bb cream its worth the expense!